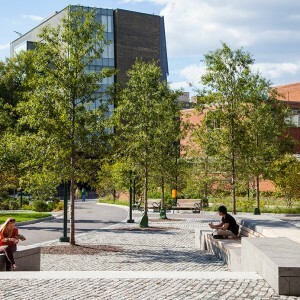 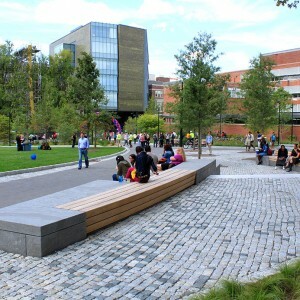 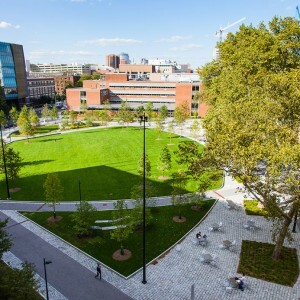 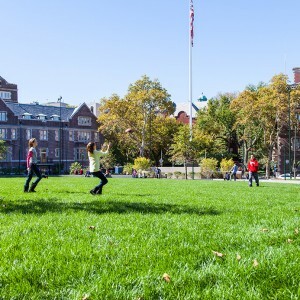 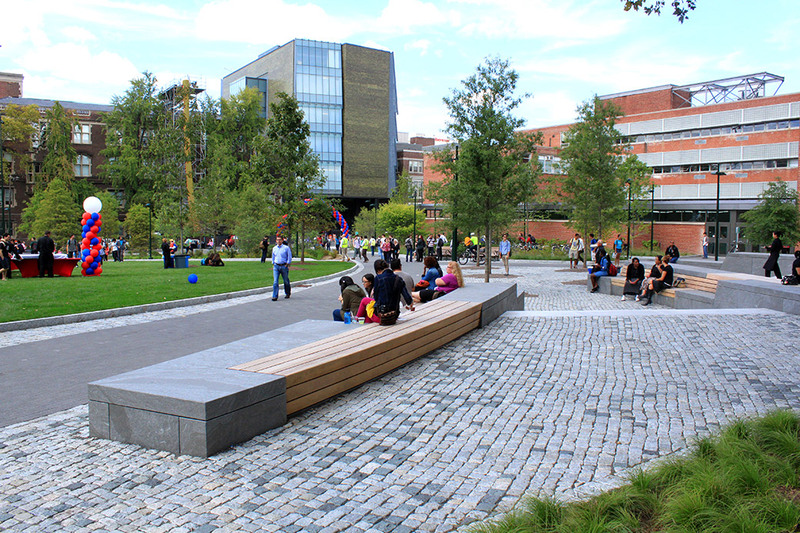 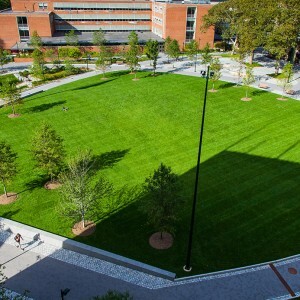 Andropogon Associates: Shoemaker Green is a 3.75 acre site located immediately east of 33rd Street between Walnut and Spruce Streets, and is a major component of the east-west connection between the central campus and Penn Park, serving as a new continuation of the Locust Walk / Smith Walk corridor. 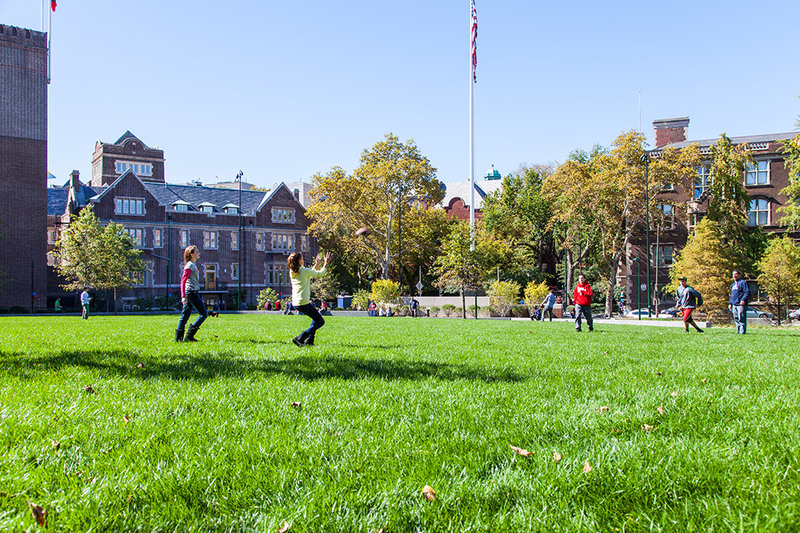 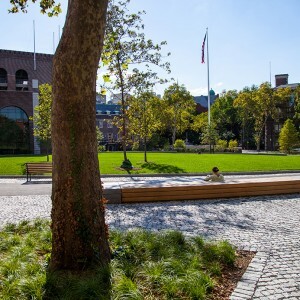 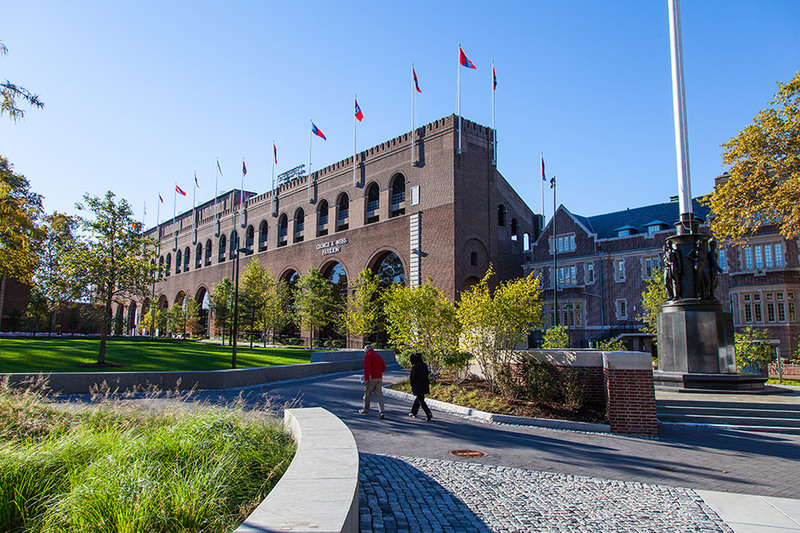 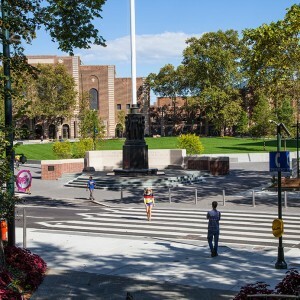 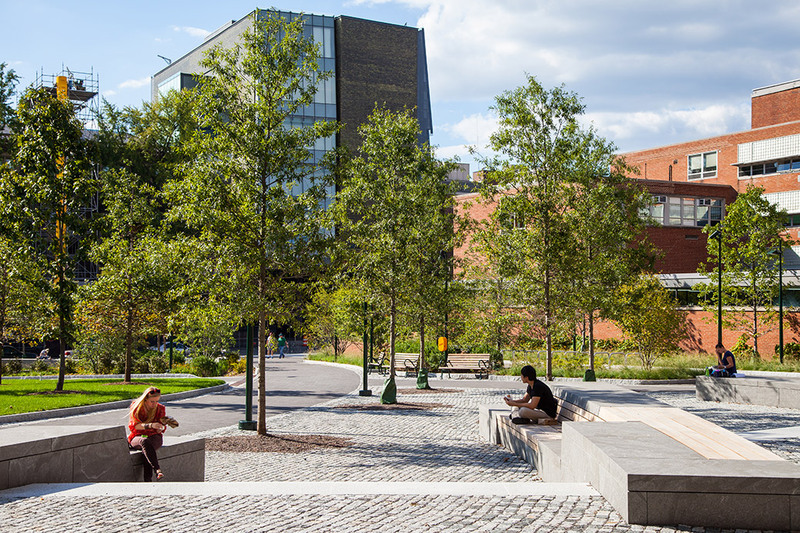 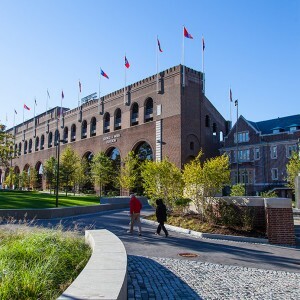 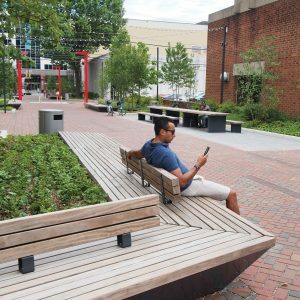 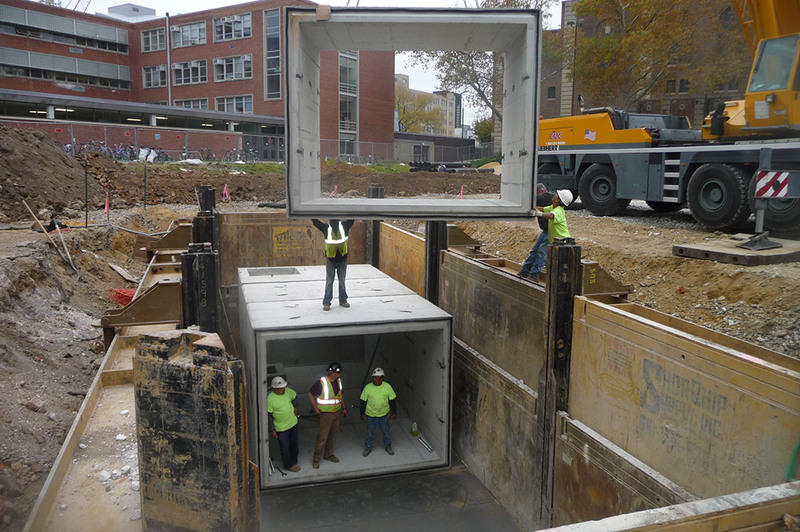 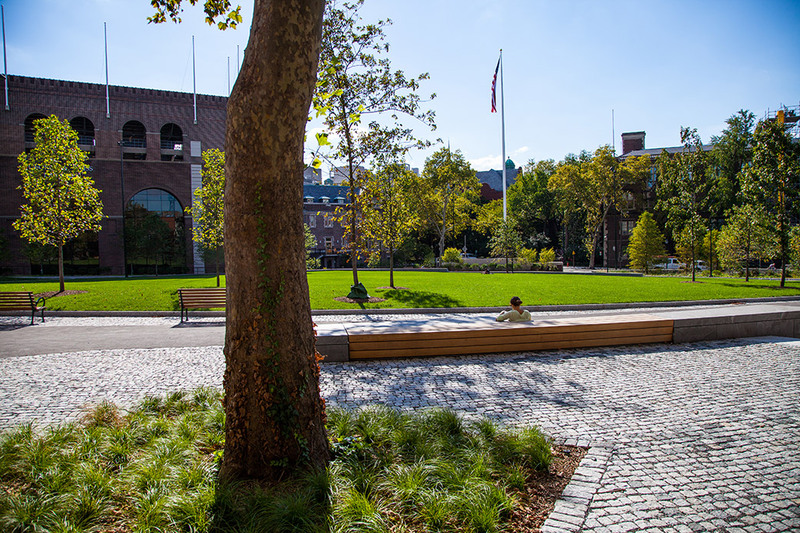 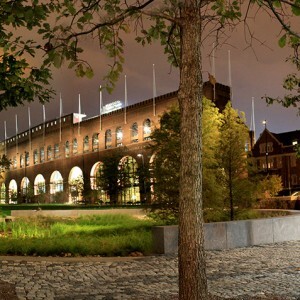 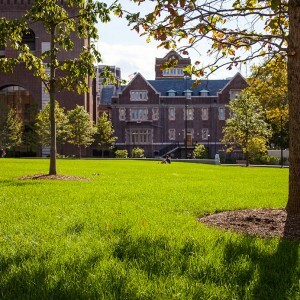 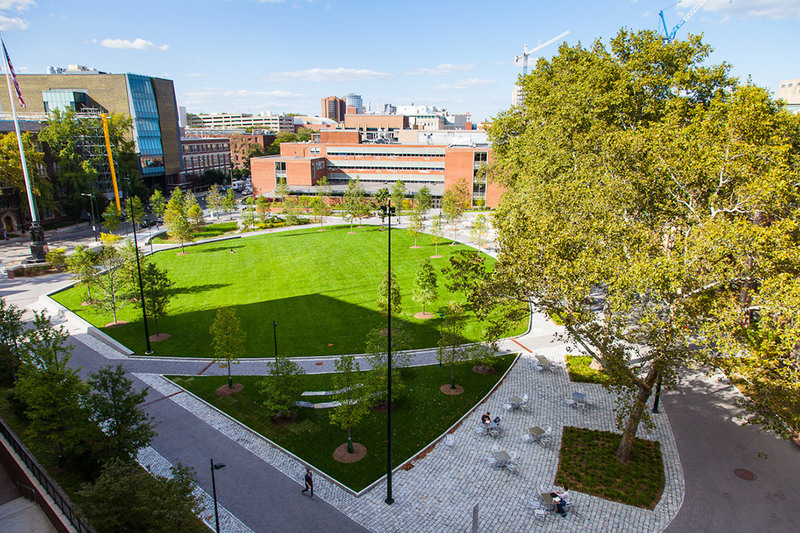 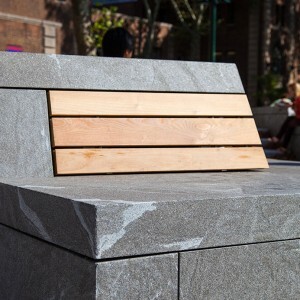 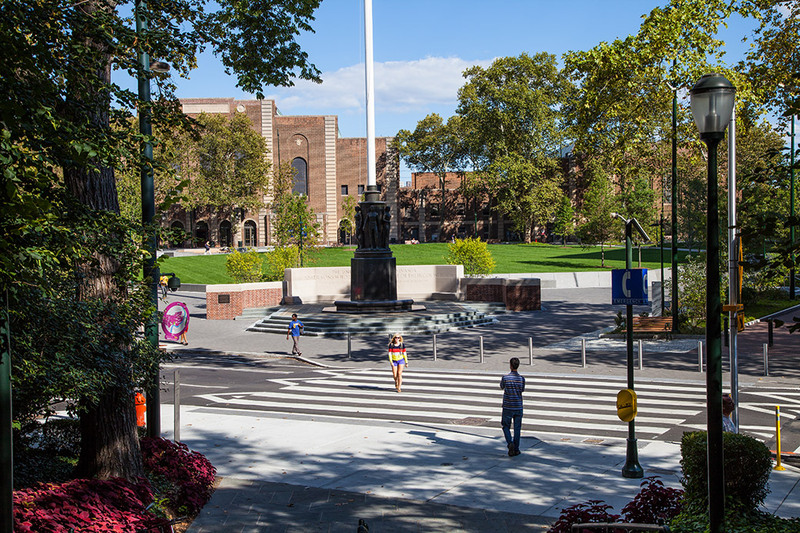 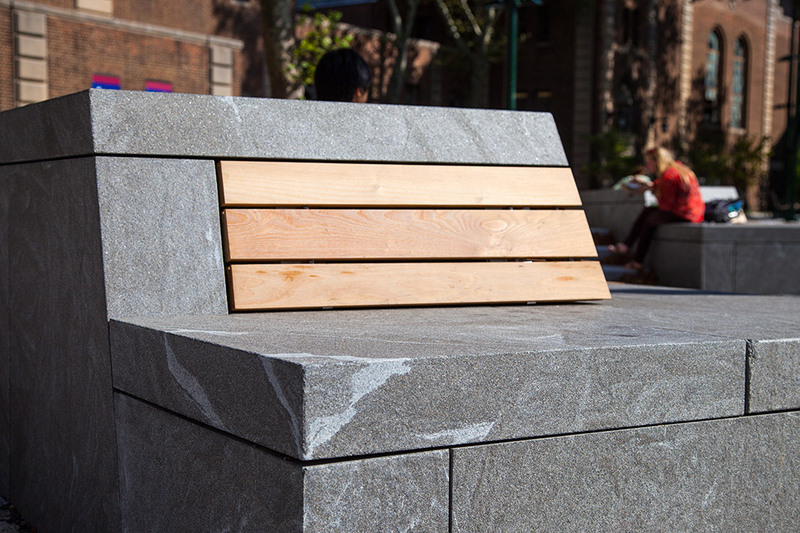 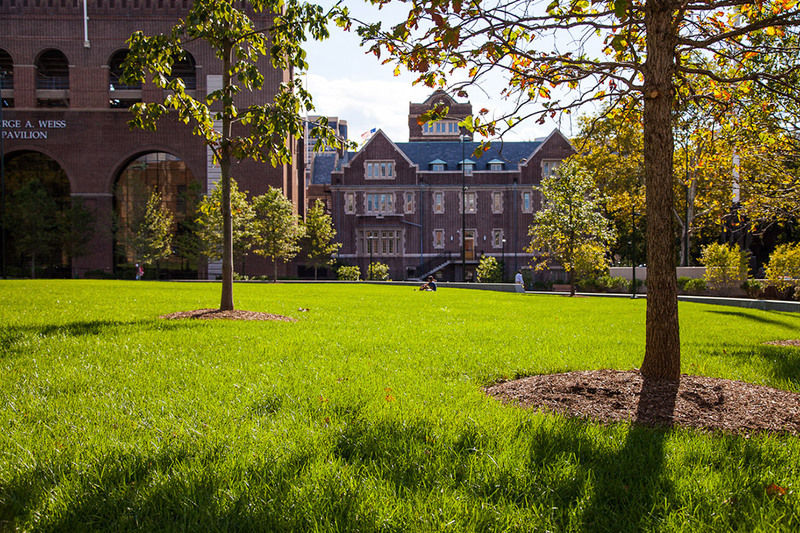 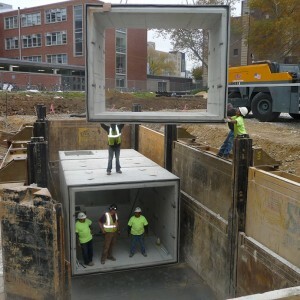 The site is surrounded by two of the University’s most iconic athletic facilities – the Palestra and Franklin Field, and will serve as the “front doors” to these historic structures. 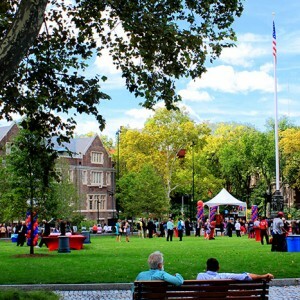 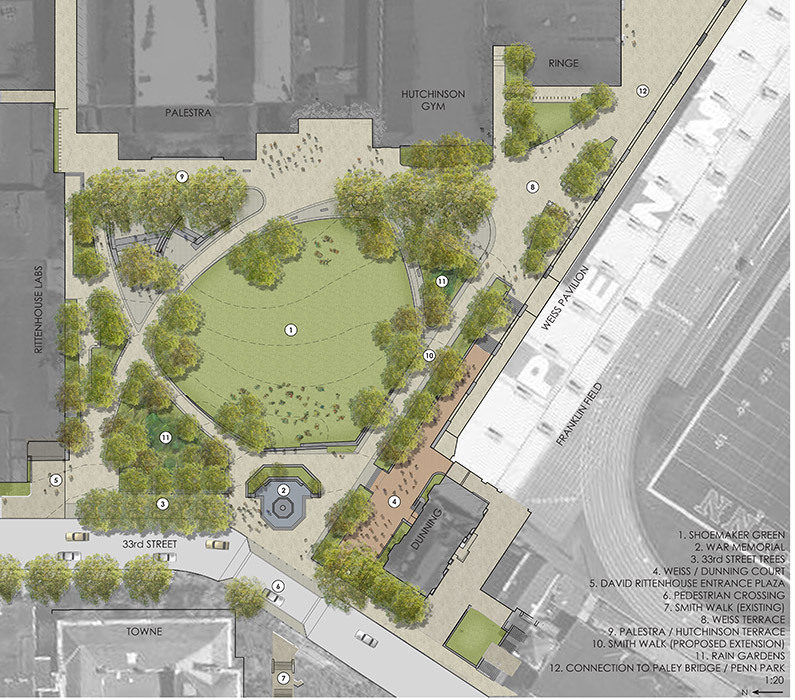 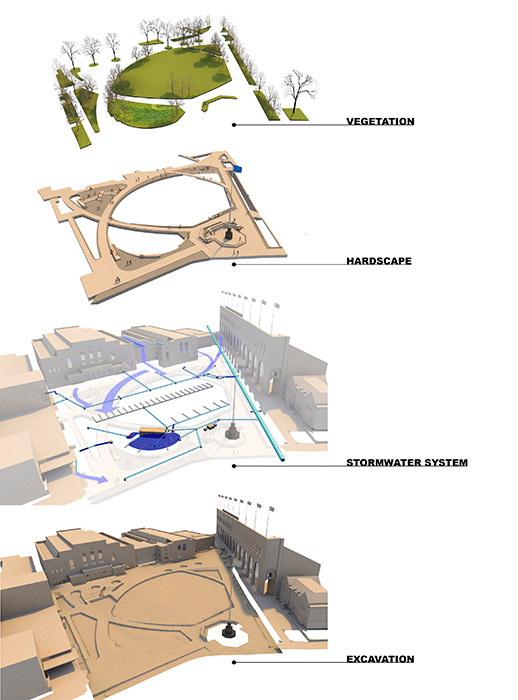 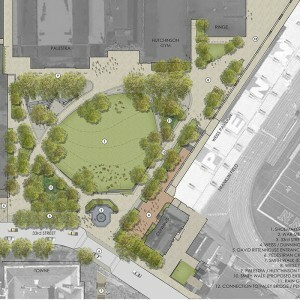 Shoemaker Green’s program will mainly be passive recreation, but the site will have the ability to adapt for multiple events and activities with a wide range of scales, from secluded areas to eat lunch all the way up to staging areas for the Penn Relays and graduation. 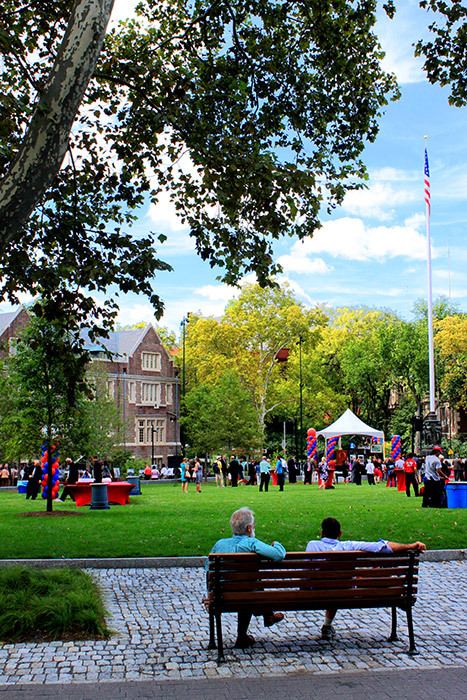 By way of carrying over the essence of College Green, while still retaining a character all its own, the site will serve as the heart of Penn’s eastward expansion. 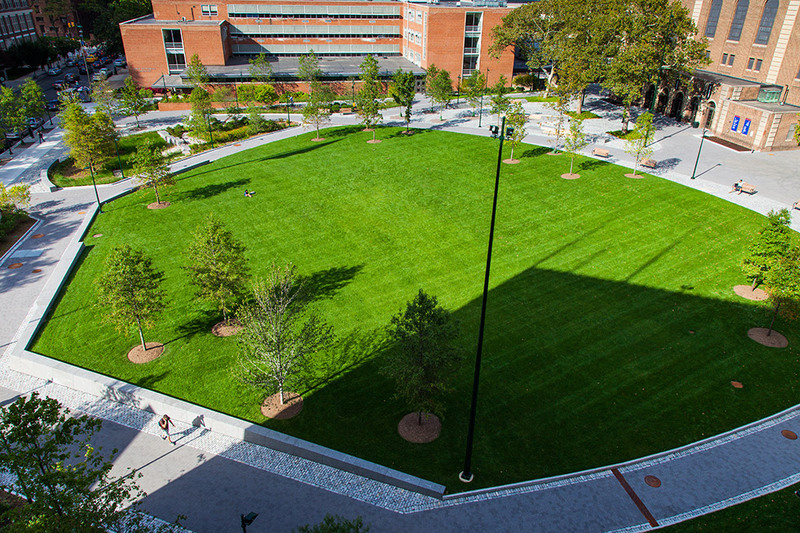 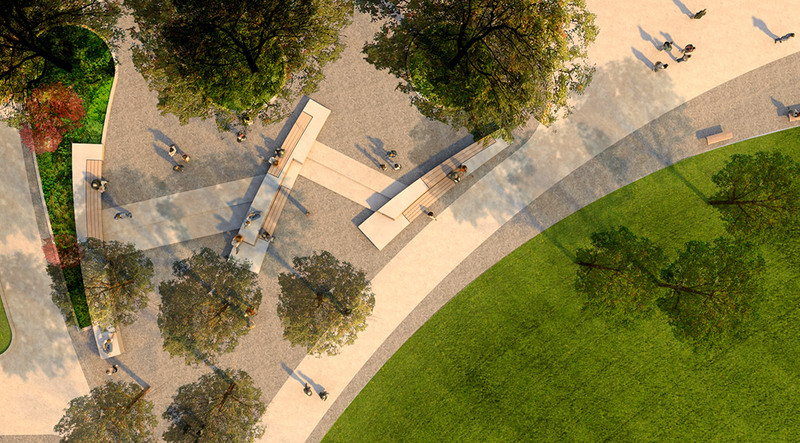 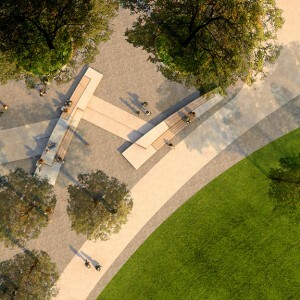 Shoemaker Green will serve as a model for sustainable campus design. 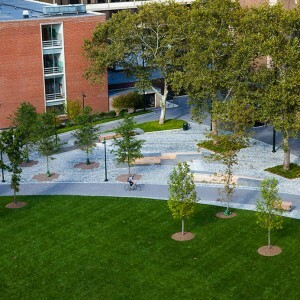 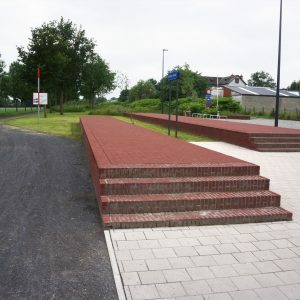 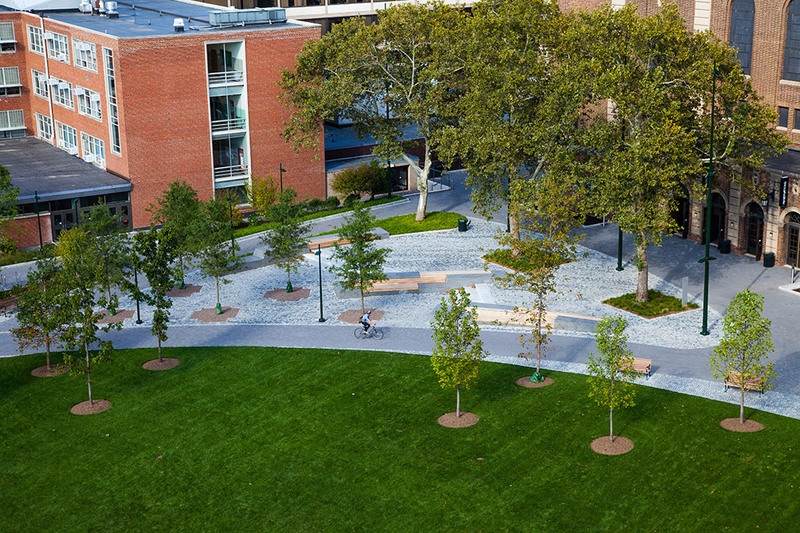 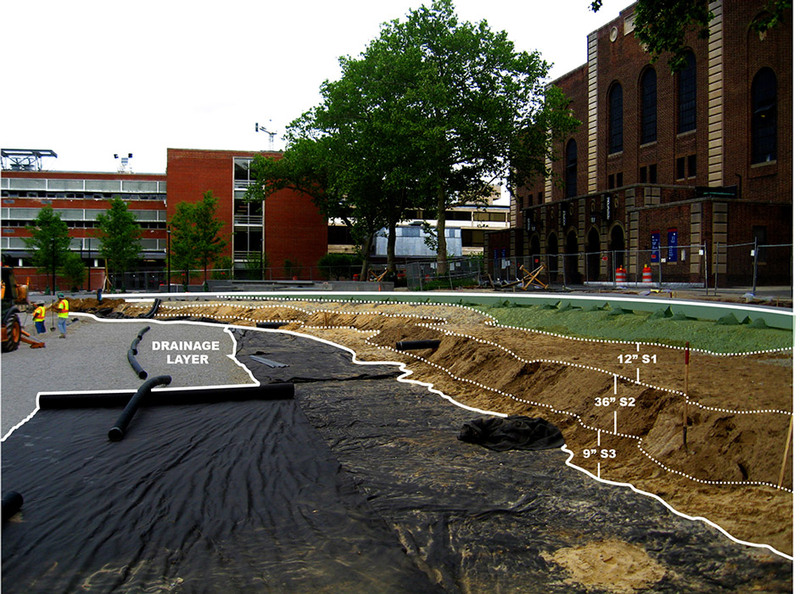 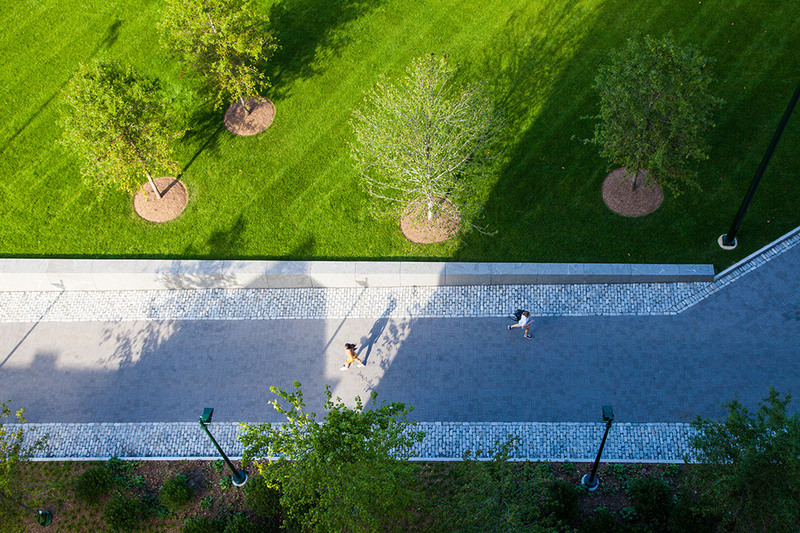 Through the innovative use of a variety of strategies and technologies, the design of Shoemaker Green has been optimized to capture and control storm water from the site and surrounding rooftops, provide viable native plant and animal habitats, minimize transportation of materials to and from the site, and serve as a starting point for the development of a sustainable maintenance strategy for the University at large. 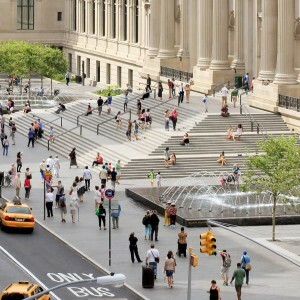 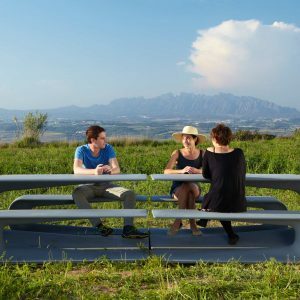 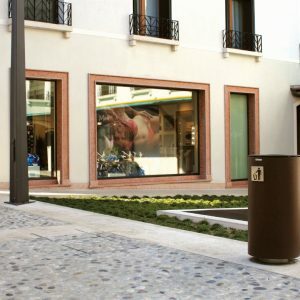 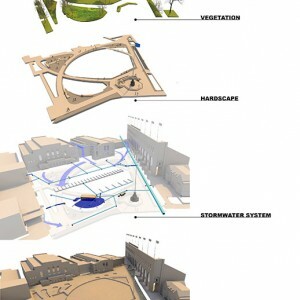 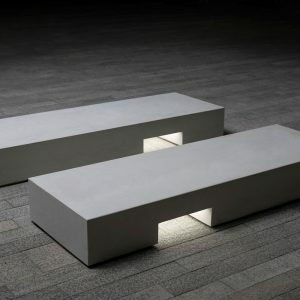 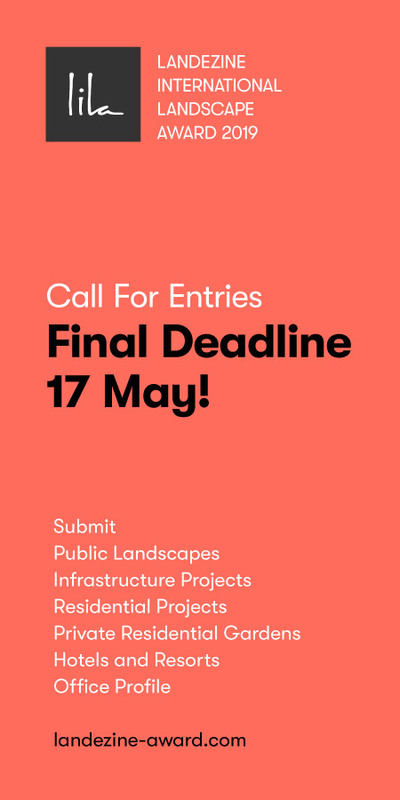 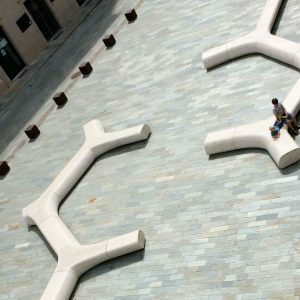 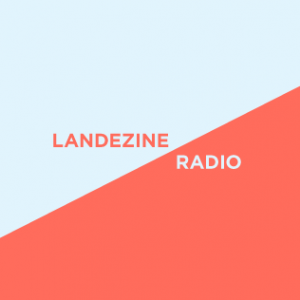 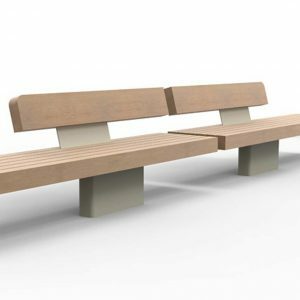 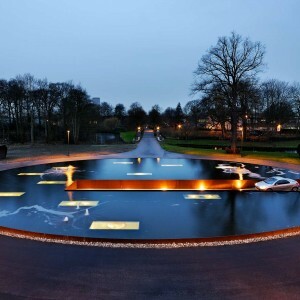 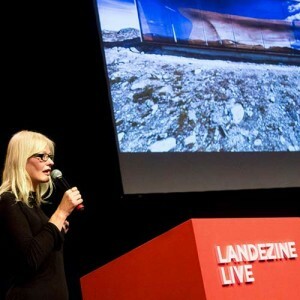 Selected as one of the Sustainable Sites Initiative’s (SITES™) Pilot Projects. 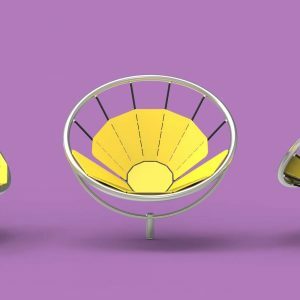 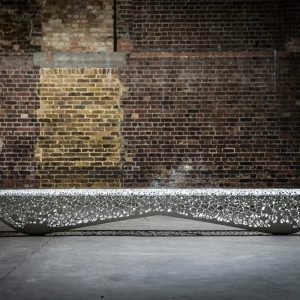 This is a great looking project both in pictures and in person! 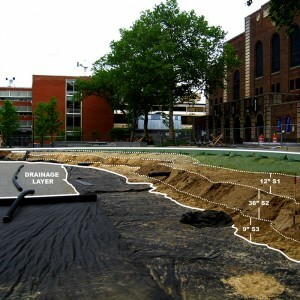 Do you have a plant list for the rain garden that is available to share? 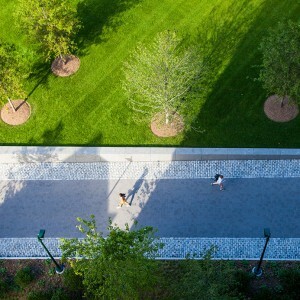 This rain garden ably demonstrates that a rain garden can be both elegant and native in its materials choices.